When will be The Snorks next episode air date? Is The Snorks renewed or cancelled? Where to countdown The Snorks air dates? Is The Snorks worth watching? "Snorks" is an animated television series produced by Hanna-Barbera which ran 1984 to 1989. 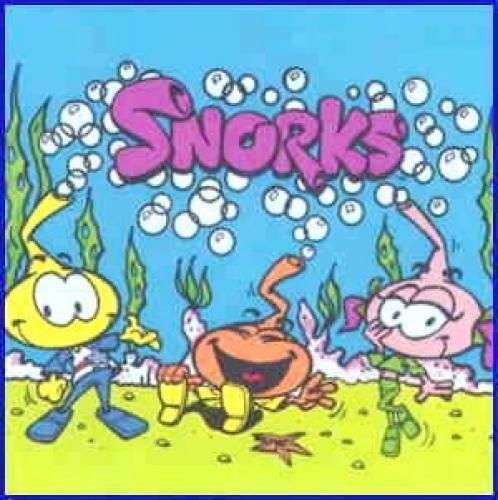 The Snorks are a race of small, colorful beings that live happily in the undersea world of Snorkland. They have snorkels on their heads, which are used to propel them swiftly through the water. The Snorks next episode air date provides TVMaze for you. EpisoDate.com is your TV show guide to Countdown The Snorks Episode Air Dates and to stay in touch with The Snorks next episode Air Date and your others favorite TV Shows. Add the shows you like to a "Watchlist" and let the site take it from there.